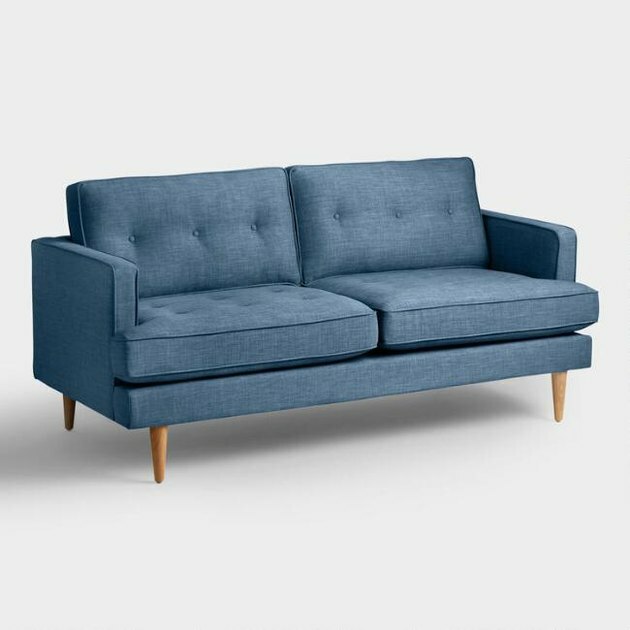 Nothing ruins a good Netflix and chill like a lumpy, uncomfortable sofa. Game of Thrones' Arya Stark's latest shenanigans are less exciting when your back is screaming and it feels like Needle's poking at your neck. Resolve your aches and pains by upgrading to a cozy, super-plush couch. These 11 offerings promise to support your spine, making your next binge sesh more enjoyable. Sometimes, you want plush coziness and crisp, modern lines, and you don't want to choose between the two. And with this velvet sofa, you don't have to. 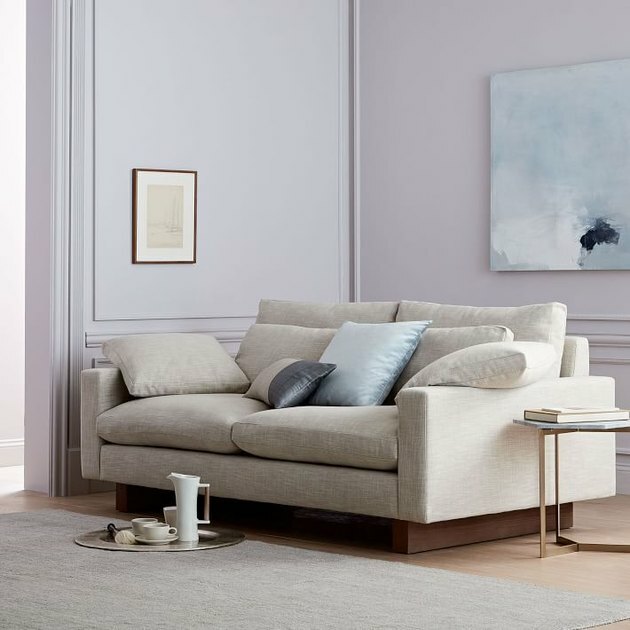 Luckily, this jewel-tone number indulges both desires with a modern frame and irresistibly soft upholstery, designed with just enough room for two. There's something to be said for classic simplicity, such as overstuffed cushions and generously-sized, low armrests. 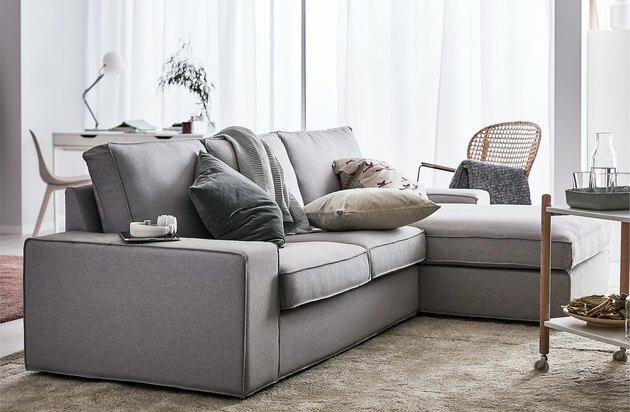 This Scandinavian-inspired loveseat with chaise is cuddle approved with memory foam in the cushions and armrests that contour to you and support your body. Vivid velvets might be the defining trend of 2018, but sometimes you just want a calming, robins-egg blue. And there's nothing wrong with that, especially when it comes to this sofa's midcentury modern lines and comfy yet tailored good looks. 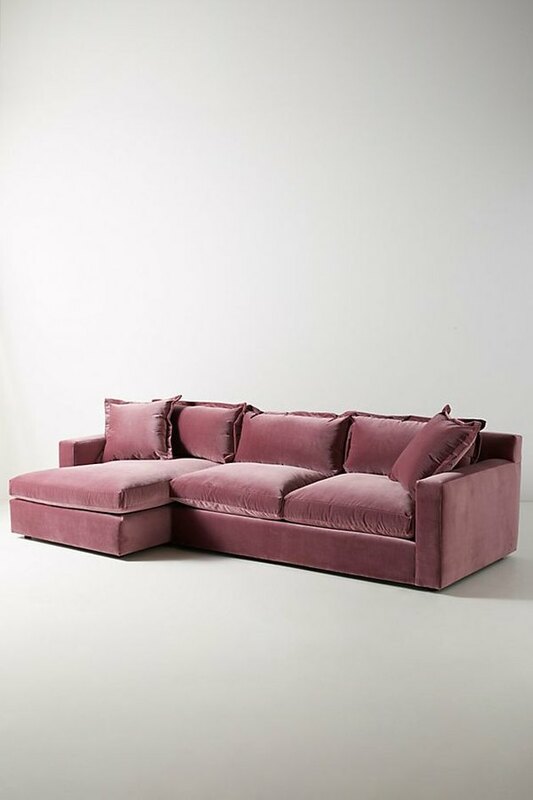 But sometimes you do want bold, in-your-face velvets, and this rosy-hued sectional is answering the call. 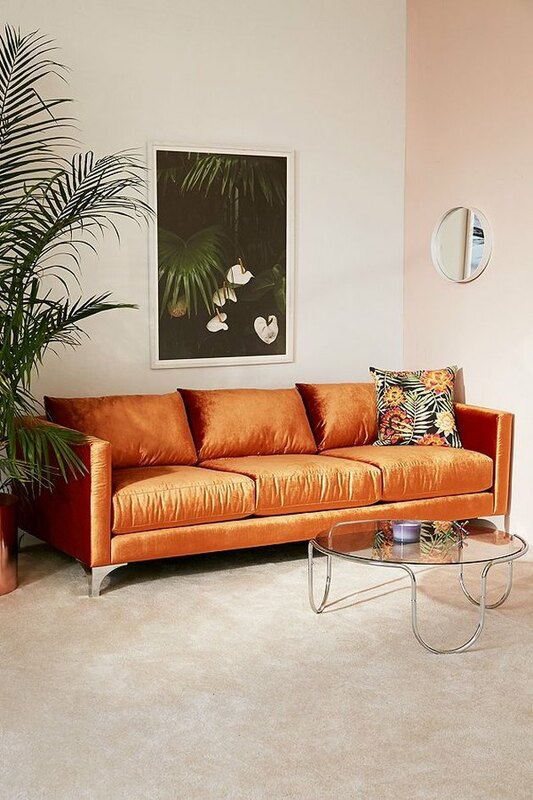 Available in a wide variety of saturated colors, this luxe soft pile velvet sofa will make a dreamy statement in any living room. There's something so perfect about this deep seat sofa with a responsibly sourced wood base. You might feel like you're lounging in a zen paradise when you curl up in this lush down-filled creation. Outfitting a beach-chic cottage? 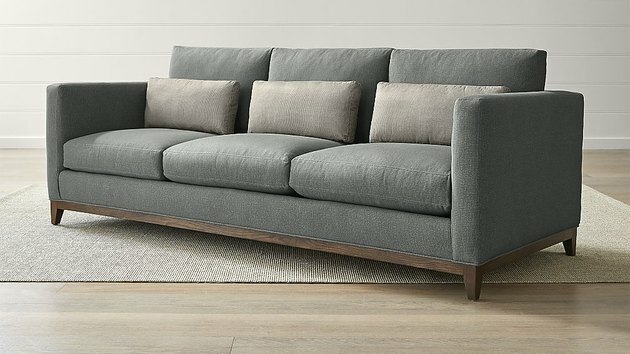 This gray, stonewashed linen sofa with sustainable solid oak legs and base will fit right in — and is plush enough to get you through many nights reading this month's book du jour. 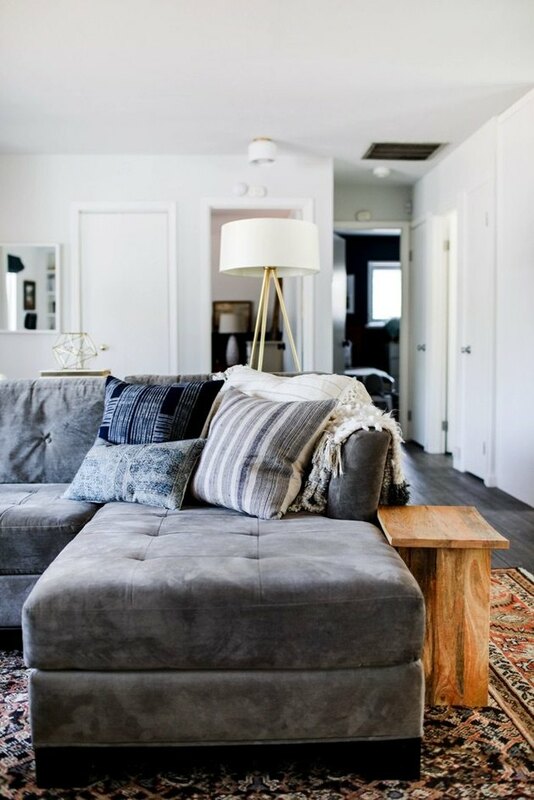 This tufted denim sofa is just plain fun. And you can't beat the price, either. Now you have a comfy place to sit while you plan all of the ways you can spend the pennies you just saved investing in this sensible find. 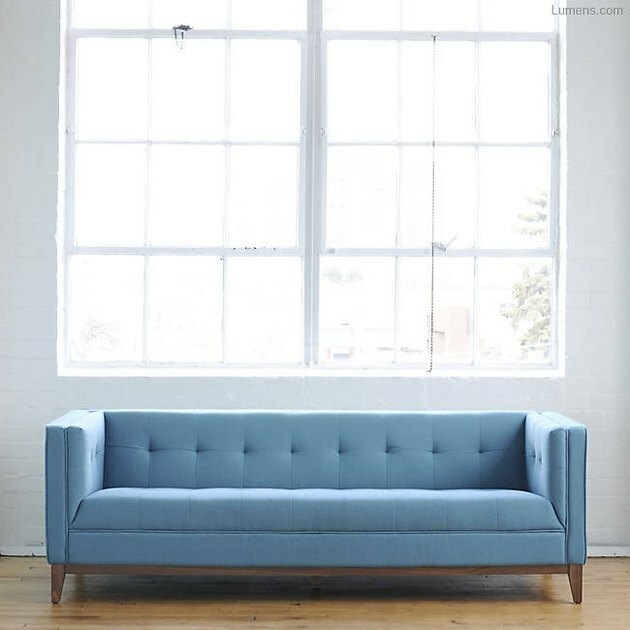 One glance at this slipcovered sofa and you'll fall in love. The elegant frame with slope arms offers a refreshingly modern look, and bonus: It's a sleeper sofa, so it's ideal for out of town guests. If you look at this glamorous sofa and your first thought isn't "Ooh la la", then you might need your eyes checked. 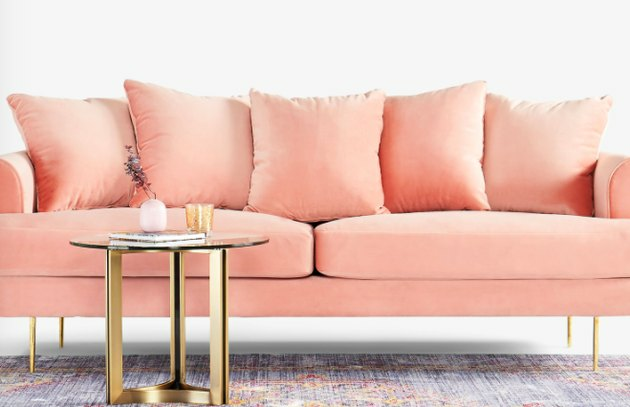 It's hard to imagine that reclining in this overstuffed blush stunner with gold legs is anything but heavenly. 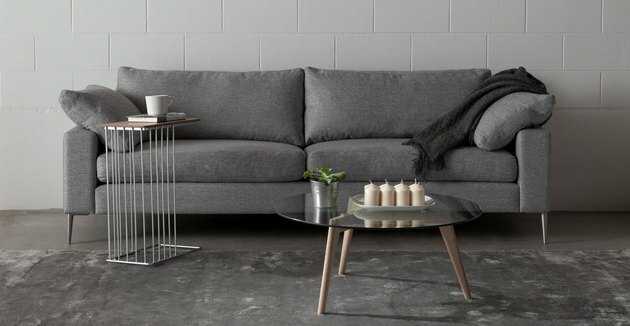 This gray beauty would be right at home in a Scandinavian-inspired minimalist home — or paired with bold accessories. 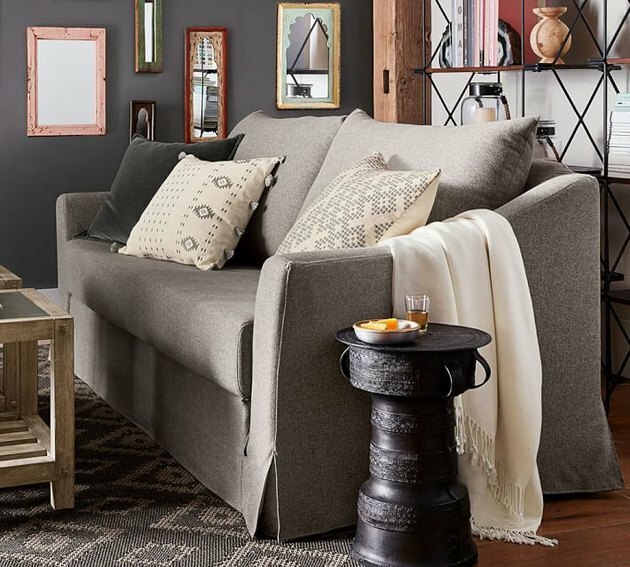 Supported by trendy metal legs, this sofa makes the perfect place to cozy up with a warm cup of joe, your favorite blanket, and a riveting movie. 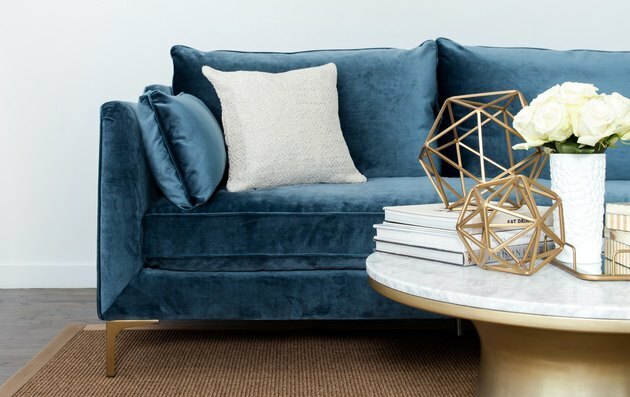 This oh-so-romantic sofa with a glitzy gold base and stunning royal-blue velvet upholstery will make every night with a glass of merlot feel like a sweet dream.